WOne thing about armor is that the base chassis can be adapted to a bewildering array of other vehicles. This is true today and was true in the past as well. One of the more heavily modified chassis was that of the Panzer III. Not only was it used for standard tanks, but also for the successful but dead-end StuG III assault guns. Some of these were fitted with howitzers and became Sturmhaubitze. 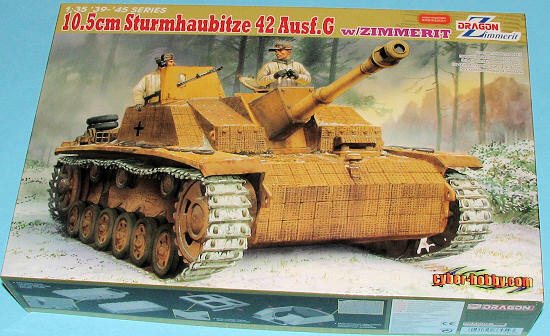 Cyber-Hobby, aka Dragon, has produced an excellent kit of the howitzer mounted StuG III ausf G. They have done this by combining the standard StuG III ausf G kit with parts from the LeFH 18 Howitzer kit and new parts specifically designed for this boxing. 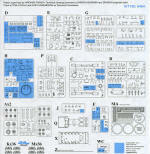 This particular kit has as its main feature the hull parts marked with waffle pattern zimmerit. Dragon is properly proud of its zimmerit kits as they are really well done. You can see the amount of detail on the close-up shown. 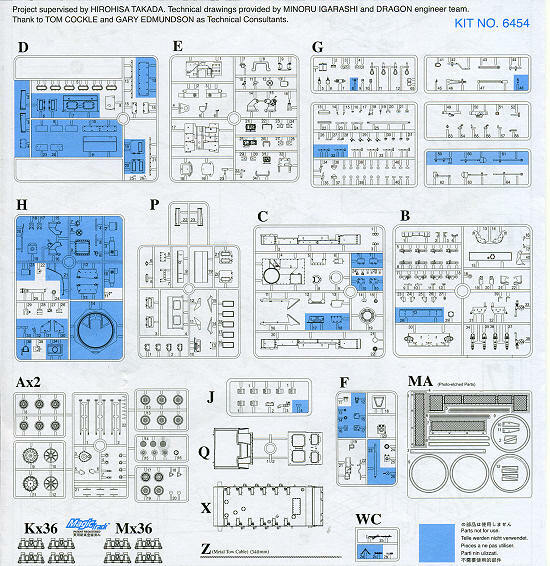 Thanks to this kit having over 500 parts, much of that due to the excellent Magic Track individual link track links, showing a layout of the sprues using the kit diagram is much clearer. As you can see, there are several parts that won't be used for this build. There is one photo etched sprue for ventilation screens and on the idlers for the most part. The kit also has a complete torsion bar suspension, a complete howitzer and the option to have the commander's hatch open or closed. A section of wire for the tow cable is also part and parcel of the kit. Dragon have included a small booklet describing their modeling objectives as well as some of the design work that went into making this limited edition kit. It also points out the research that went into molding some of the details. Dragon is very much concerned that it get things right and it sure seems as if they are living up to that desire. Instructions are quite well done with very nicely drawn construction steps. Color information is provided using Gunze and Model Master paints. Options are provided for three vehicles. One is a Panzer Yellow vehicle from an unidentified unit on the Eastern Front in 1944. This would be the box art option. The other two are in winter camo. One from the 202nd StuG Brigade , Kurland, 1945 and the other the 904th StuG Bridge, East Prussia, 1945. Yet another superlative and well researched kit from the folks at Dragon. It is amazing at the different vehicles and variations they can produce and I know that most armor modelers are glad they are able to do so. I'm sure you will be pleased with this one. My thanks go to www.dragonmodelsusa.com for the preview kit. Get yours today at your favorite hobby shop or have them order one for you.